There are some marvelous perks to living in such an arts-focused community. On such perk is establishments like The Skillery – a place where you can take classes in any number of areas. For me, it’s Upholstery for Beginners in March! I am SO excited! I have been restoring furniture for a while now, but I’m always somewhat afraid of projects that will be heavy on the upholstery side. Sure, I can staple fabric to a chair cushion, but show me a beautiful chair that needs a whole new upholstery job, and I will run away! Hopefully, this class will give me a few tricks to help me face that fear! 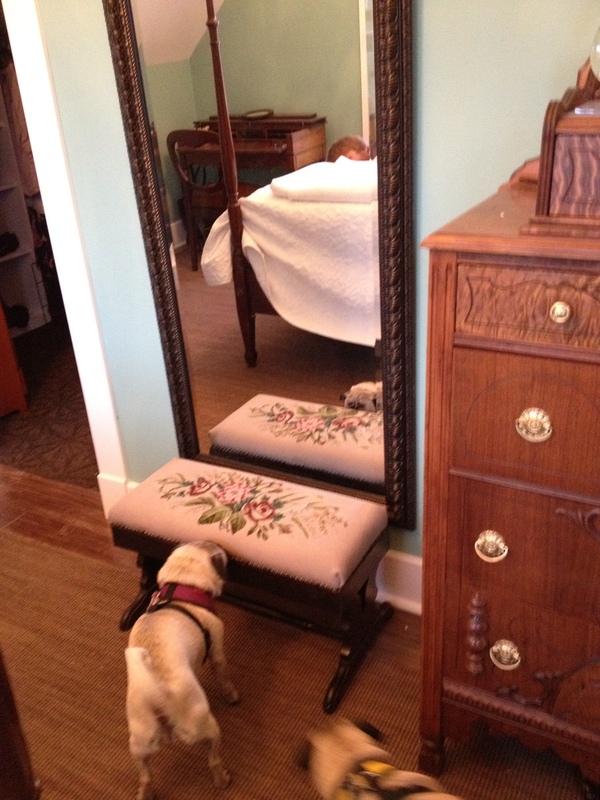 I have been wanting either a stool or a bench or a little pouf for in front of my bedroom mirror for quite some time. 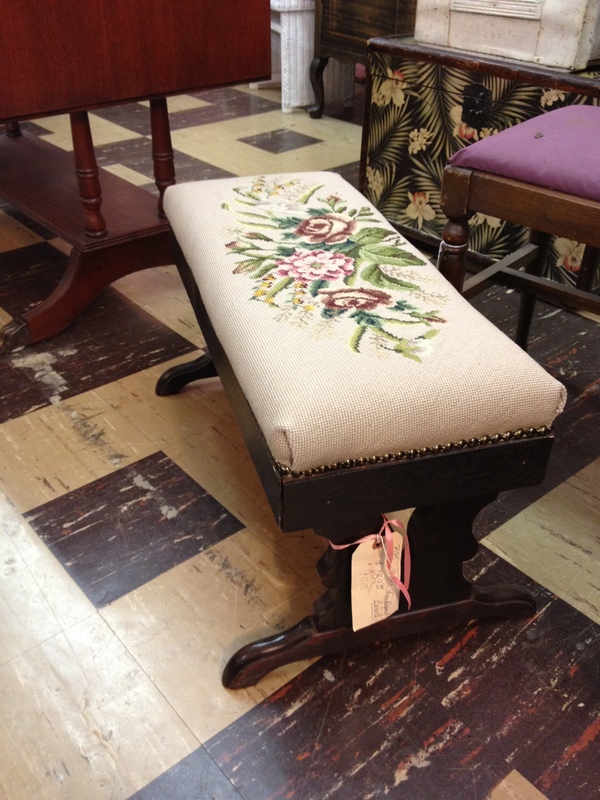 Then, this week I found this gorgeous short stool at an antique mall for $95, which is a little more than I was hoping to pay for it, BUT I fell in love and love is blind to prices. 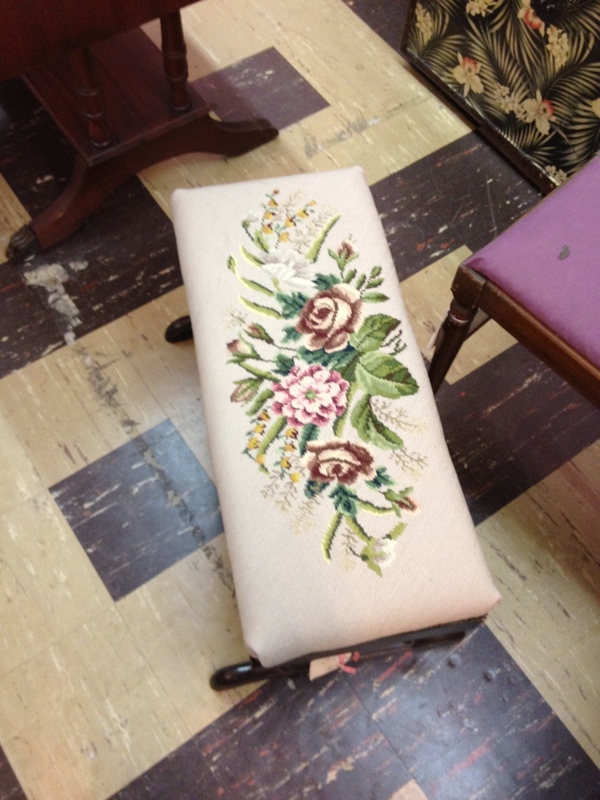 The needlepoint work is in perfect condition, and the base only had one tiny little chip on one foot. Love. Here it is in the store. At home in front of my mirror. Naturally, the pugs had to investigate!